While Brad Paisley was not involved, this was yet again a wonderful weekend that I really, really, really wish did not have to end! Friday night we had friends over for dinner (super awesome and yummy new recipe will be posted for that soon!). On Saturday we took a ROAD TRIP to Sonic Drive-In for lunch with a friend of ours. I also scored 6 books for $2 at a church bazaar. It doesn’t matter that I already have 1,000,000,000,000 other books on my bookshelf that I need to read…then we came home and grilled burgers and corn on the cob (pix but no recipe to come later!) and watched Warm Bodies. It was super cute. I really wanted to see it in the theatre but it didn’t work out. I was hoping/expecting for it to be good, but it was better than good! If you haven’t seen it yet, you need to. Today we went to church, ran some errands, and then had a barbecue with our roommate and some other friends. Salmon may or may not have been involved. And it was DELIGHTFUL. Again, recipe to come! -Combine ground turkey and buffalo sauce. Mix together with your hands until it’s fully mixed. Form into 4-5 patties, cover with plastic wrap and marinate for a bit, or just cook right away (we let them marinate for about 30mins). -Heat the grill to medium-high. Grill them until cooked through with grill marks, about 10mins total (I feel like ours might have been a wee bit over-cooked, my husband has never really grilled turkey before and wasn’t sure how long it’d take). 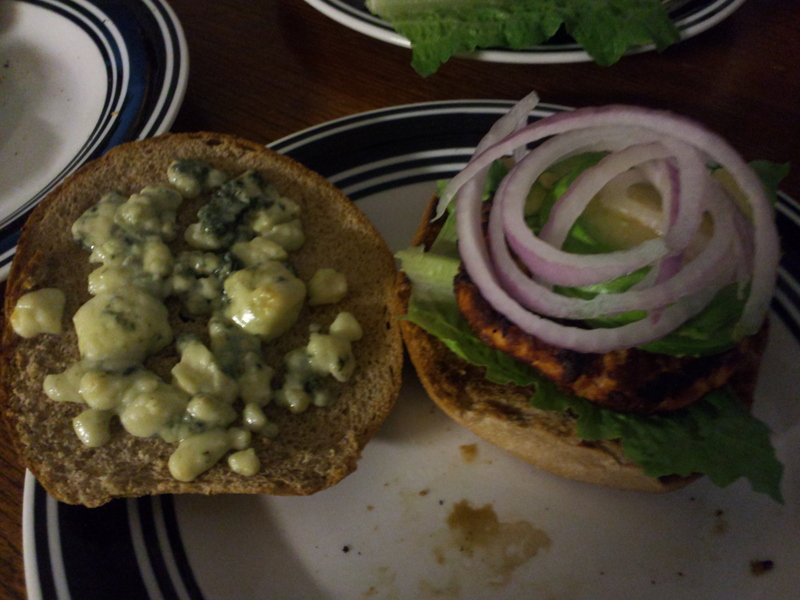 -While cooking, place the blue cheese on the top half of the buns and toast them on the grill for about 5mins. 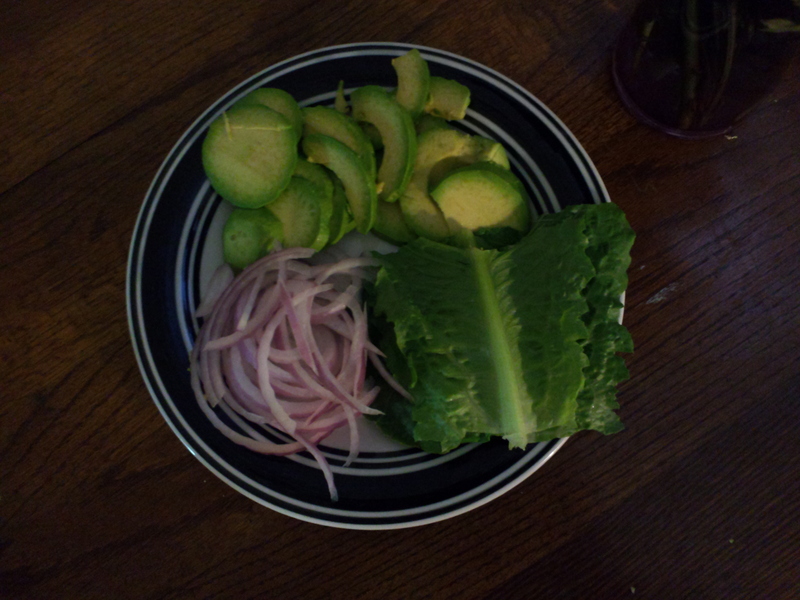 -Service the turkey burgers garnished with avocado, lettuce, and other choice toppings (we included red onion – it’s pretty much a staple in this house).